Home / Health / heath tips / Natural Skincare / Is your Sunscreen really screening your skin? Is your Sunscreen really screening your skin? How sunlight effect our skin? When our skin is exposed to sunlight it absorbs the UV rays (ultraviolet radiations) of the sunlight which can generate harmful compounds, called Reactive Oxygen Species or ROS. These are highly reactive molecules that can cause “oxidative damage”. It can react with cellular components like cell walls, lipid membranes, DNA etc leading to skin damage and increasing sign of aging. Can sunscreen protect our skin? The commercially available sunscreen is incapable enough to protect your skin fully. Some sunscreen materials can even produce potentially harmful substances. The chemicals in your sunscreen can have a long term effect in your skin. However, when sunscreen is applied to your skin the UV filters reduces the amount of UV radiation penetrating the skin. .But once we start sweating we wipe of the cream. 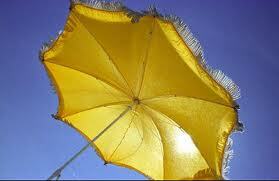 Some of it is also absorbed by the skin itself leaving the surface susceptible to UV rays once again. So repeated use of your sunscreen is advisable. Depending on your requirement select you’re the sunscreen which can range from as low as SPF 2 to as high as SPF 85. Difference between sunscreen and sun block? The term sunscreen is commercially used but it’s a common misconception that sunscreen and sunblock are same. But that’s not the reality. Sunblocks are stronger than sunscreen in protecting your skin. It is opaque and has the ability to block the majority of the UV rays of the sun. You don’t have to reapply it several times in a day. On the other hand, the ingredients in the sunscreen break down at a faster rate once it is exposed to the sun and to make it effective you have reapplied it many times in a day. You can use natural or organic sunscreen which has no side effect. Its ingredients are flower extracts, herbal extracts, natural moisturizers etc without any chemical input. You can also select a biodegradable sunscreen made from natural minerals which will help you as well as your environment. So select the sunscreen that gives the best protection to your skin. Don’t forget to apply it before stepping out of your house.